After many teases by XSEED of a pending fall release, they’ve finally confirmed that Senran Kagura Burst will finally come out on the 3DS exclusively on Nintendo eShop on November 14th. The story follows the girls of both the Hanzo National Academy and the Hebijo Clandestine Girls’ Academy. 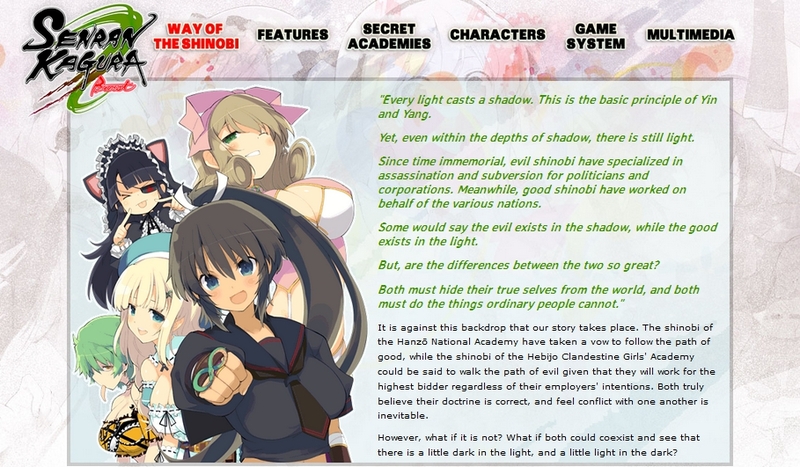 Both factions are shinobi academies, and both follow different ideologies of what a shinobi should stand for. On the Hanzo side, they feel that the shinobi should fight for the good of the people and strike down evil. On the Hebijo side, they’ll take on any jobs regardless of whose side you’re on as long as you pay good money, even if the job could be perceived as working for evil. Of course when both sides meet, sparks fly while clothing shreds. It’s safe to say that the girls of these academies don’t get along. Since some are confused on which Senran Kagura game is what and and how they play, I’ll beak it down. 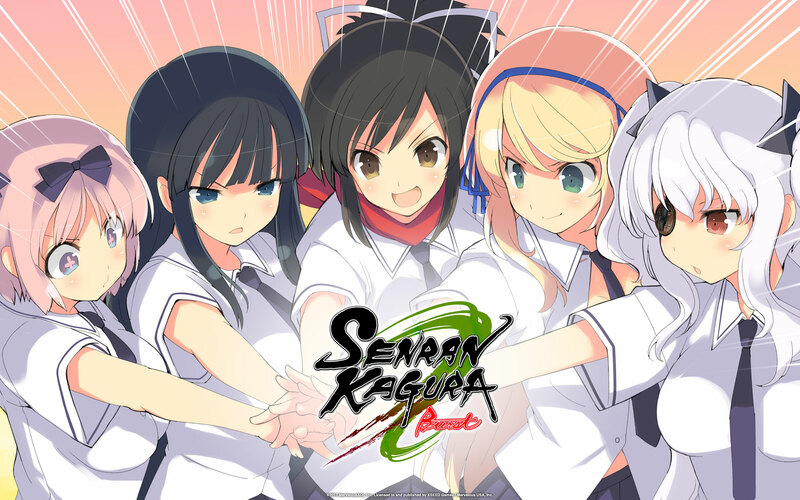 The very first one, Senran Kagura, was released on the 3DS and only had the Skirting Shadows chapter, and the Hanzo Academy girls were the main characters. The game is a 2D-sidescrolling brawler similar to Streets of Rage, Turtles in Time, and Muramasa: The Demon Blade. The sequel, Senran Kagura Burst added the Crimson Girls chapter, and this time the Hebijo Academy girls were the main characters. On top of this, the Skirting Shadows chapter was added, making this version the ultimate version. Think of it as getting Dissidia 012 as opposed to getting vanilla Dissidia. This is the one that we’re getting on the eShop next week (and completely uncensored! Take that moral guardians!). The third game, Senran Kagura: Shinovi Versus is the Vita game, and that one is a 3D-style brawler similar to Anarchy Reigns and Dynasty Warriors. Xseed expressed that if Senran Kagura Burst sells well, then the cards are in their favor for localizing Shinovi Versus. On to the website, it finally opened and has a lot of info on the story, gameplay style, the two academies and the girls that represent them. It’s also got some neato wallpapers, like the one used for the header image to this article. It’s also got some music playing on the site. Gotta say I’m pretty hooked on some of these songs. That third song though is awesome. Also whoever thought of putting more than one song in a sequence, thank you. Some sites just leave it at one song and let that one loop until you change it. 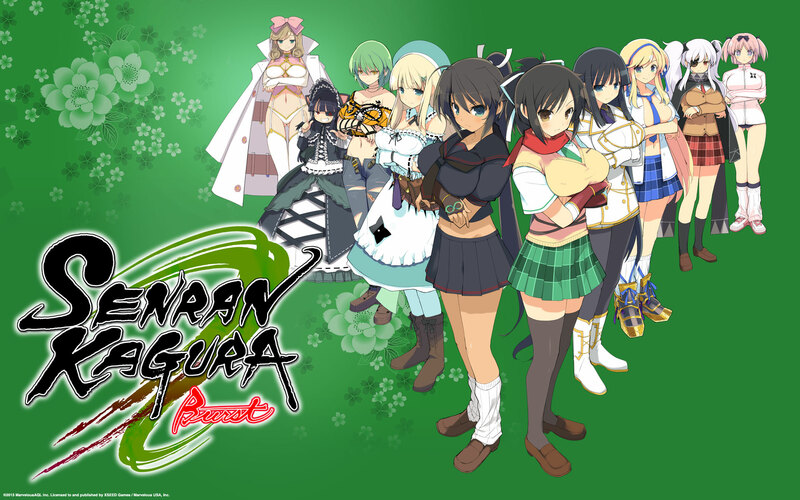 Once again, Senran Kagura Burst will be released as an eShop exclusive on November 14th and will go for $30. XSEED states that the size should be around 2GB. This entry was posted in Gaming News and tagged Hometown for life!, Marvelous AQL, Senran Kagura, Senran Kagura Burst, SKB, Tamsoft, XSEED on November 9, 2013 by Steven T..
585,057 viewers accidentally found us!